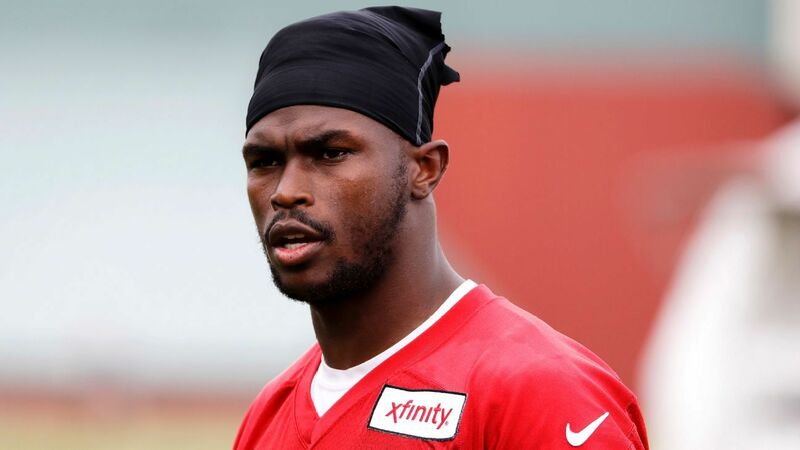 Atlanta Falcons receiver Julio Jones has informed the team he will not be attending mandatory minicamp, according to a statement released Monday by general manager Thomas Dimitroff. “We have been in contact with Julio and his representation. We will not discuss those conversations publicly except to say we feel they have been productive and constructive,” Dimitroff said in a statement. “We understand the concerns and thoughts from their perspective. Although not ideal, Julio informed us today he would not be attending mini-camp. The team’s minicamp runs from June 12-14. There have been whispers about Jones wanting to be the highest-paid receiver in the league, although there have been no contract issues acknowledged by his camp or the team. Jones had 88 receptions for 1,444 yards and three touchdowns last season. ESPN’s Vaughn McClure contributed to this report.